Released on: May 23rd, 2017. This second issue, entitled ‘The Uncertainty Machine,’ picks up where the first one left off. Breen flashes back to his childhood, he’s nine and playing with his dog until his dad comes into the room and snaps the dog’s neck for barking. 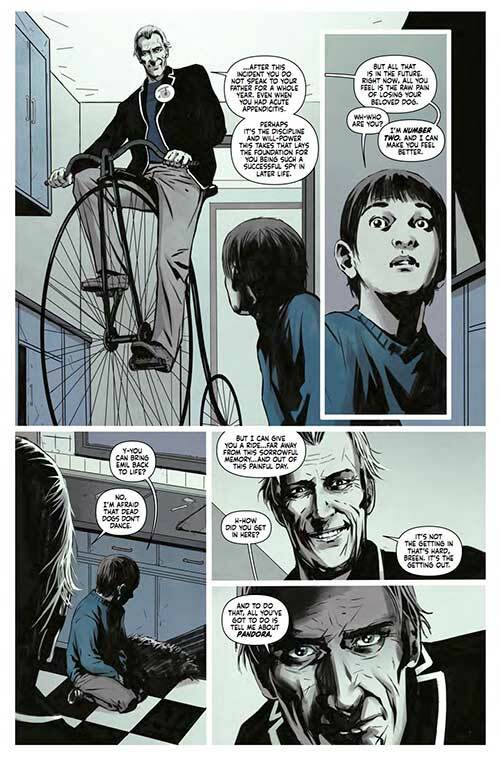 Then, Breen sees a man on a penny farthing bicycle wearing a black jacket with white trim. He introduces himself as number two and notes that he can make him feel better – all he has to do is tell him about Pandora. Cut to the present where Breen’s clearly being probed by certain denizens of The Village. He pulls the gear off of his head and snaps back to reality but has no idea how long he’s been out. Someone off screen addresses Breen as number six. He snaps back again and is on trial – the judge demanding that he talk about Pandora. Breen refuses, and so number nine is brought into the court room – it’s Carey of course, the one who backhandedly got him into all of this in the first place. She urges him to give them what they want and to join here, telling him ‘they take good care of the defectors,’ a rather knowing grin on her face as she speaks this. Breen resists, at which point the judge decides to expose his ‘real mission’ by ‘rewinding’ three weeks into the past, to his conversation with Section about infiltrating The Village and getting Carey back. How anyone in The Village knew this is beyond Breen, but know it they did – at which point number twenty-three, Section himself, is brought into the court room. Breen agrees to talk if Section and Carey are released, but the judge sees through this and the proceedings are set to continue the next day. We won’t go into any more detail than that so as not to spoil things but let it suffice to say that things do not go the way that you would expect them to. 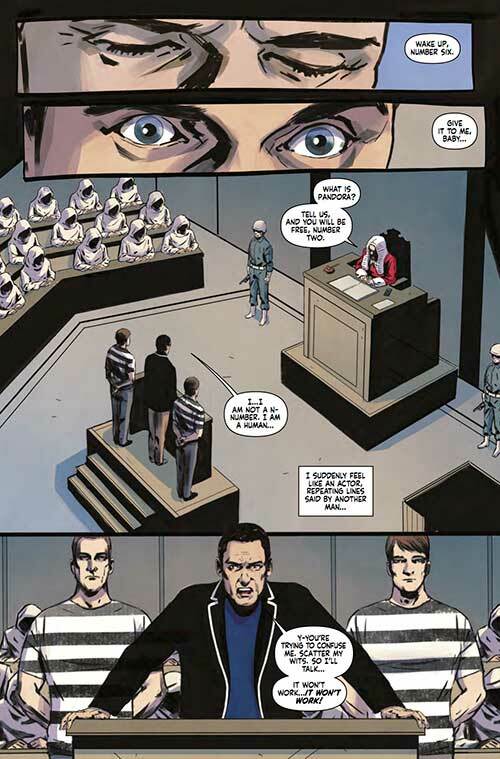 Again, Milligan’s story brings The Prisoner into the modern world with some interesting twists and turns. The more we get to know about Breen the more interesting he becomes to us – obviously – and how exactly his past is going to tie into all of this, well, it could lead to some interesting developments. Carey and Section make for interesting supporting players as well – we’re not sure who we (Breen) can really trust at this point but it’s fun to guess and fun to hypothesize. A few appropriate nods to the franchise’s past and an appearance from some of the television show’s more memorable ‘characters’ help to add to the fun and to the intrigue, building wonderfully off of what was laid down in the series’ premiere issue. Colin Lorimer’s artwork, once again beautifully colored by Joana Lafluente, has a unique synchronicity with Milligan’s writing. These guys make a great team, with the writing suiting the artwork very well and the artwork suiting the writing just as impressively. 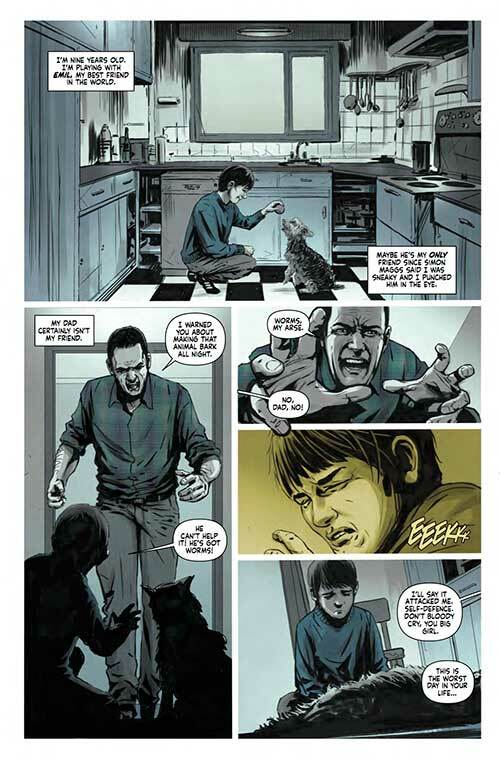 There’s a nice flow to this, from the panel layout to the character design to the color selections – it all just works. There’s great attention to detail in not just the foregrounds but the backgrounds of each panel and The Village really comes to life in this series. 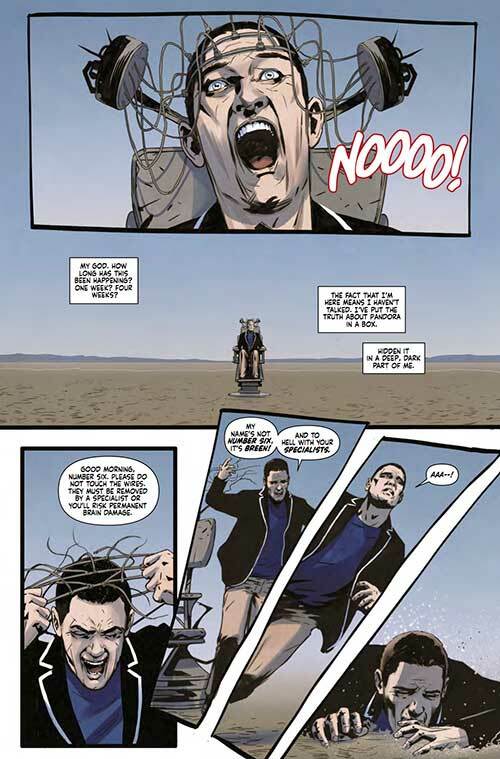 With a rather massive cliffhanger ending, it’s safe to say that anyone who has enjoyed the first two issues of this run will be back for the next issue, especially when the quality is as high as it has been so far. 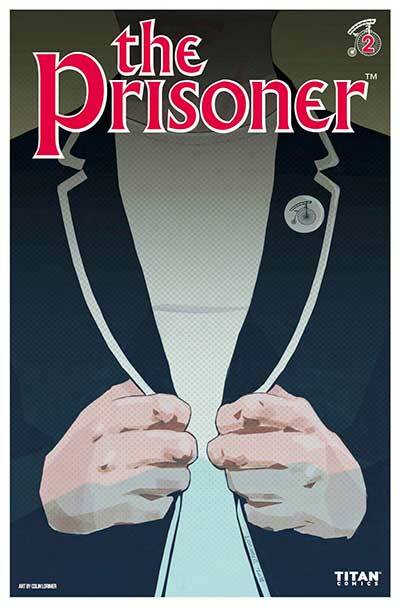 Great stuff - a treat for fans of the original series and those new to the world of The Prisoner alike.